The big picture: Top administration officials contend the rush to embrace Bolsonaro isn’t all about matching personalities. They say it’s about increasing trade — ideally at China’s expense — and confronting adversaries like Cuba and Venezuela. 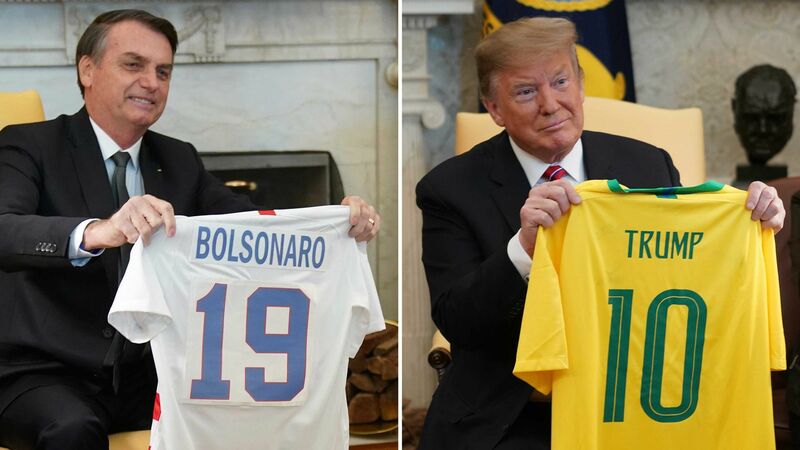 What's happening: A senior administration official told reporters that Trump started keeping an eye on Bolsonaro early on after hearing him referred to as the "Trump of the Tropics," Axios World editor David Lawler tells me.